Location is a major consideration when evaluating the value of any property. 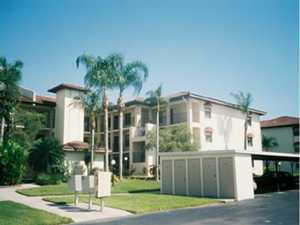 Kelly Greens Golf and Country Club is located on Summerlin Road, just minutes from the glorious beaches of world-renowned Sanibel and Captiva Islands. Kelly Greens is easily accessible to your every need. This exciting championship golf course and residential community offers spaciousness, elegance and style rarely available in Fort Myers. From the moment you enter Kelly Greens you appreciate the distinct environment and its wonderful location. The blending of graceful palms, lovely flowers, glistening lakes and the gentle gulf so nearby, are all part of a commitment to offer the utmost of beauty, excellence and value. The 6800-yard par 72 championship golf course wends its way through the community and is designed to appeal to anyone who plays for the enjoyment of the game or is interested in more demanding play. The focal point of Kelly Greens Golf and Country Club is a clubhouse and recreation area that truly enhances the picturesque surroundings. Kelly Greens residents enjoy more than the usual privileges afforded by a classic country club atmosphere. Lavish landscaping and striking architectural design and detail sets the tone for living at Kelly Greens. Masterfully planned and complete with a host of amenities you would expect at a premier Florida resort, the country club clubhouse facility is like very few anywhere. A full-service restaurant and lounge, dance floor, completely merchandised pro-shop, private locker facilities help you make the most of your country club lifestyle. In the immediate recreational area around the clubhouse, a heated swimming pool, whirlpool spa, sauna, lighted tennis courts, fitness center, driving range and practice green are all waiting for you to enjoy. Kelly Greens offers a blend of architectural styles and designs in its residences. Beautiful single family and Villa homes in the Rutenburg tradition of fine custom homes, luxury Terrace condominiums and Veranda condominiums are available to suit your particular lifestyle.